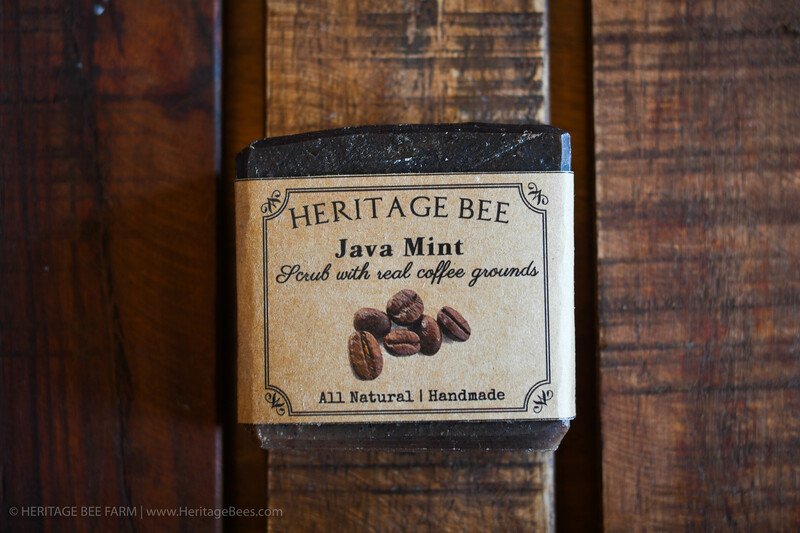 1 Bar of our All Natural Coffee Scrub Handmade Soap - Java and Peppermint Scented with natural coffee ground & cinnamon exfoliation. 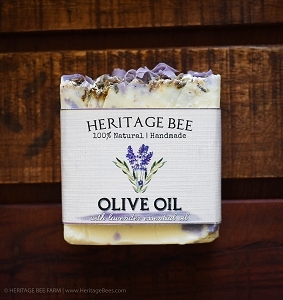 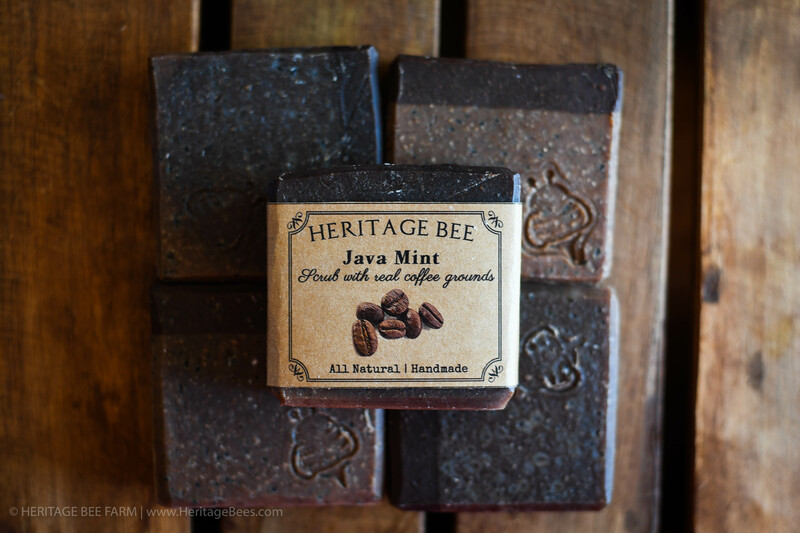 Olive Oil, Coconut Oil, Palm oil, Coffee, Peppermint Essential Oil, Cinnamon, Coffee Grounds. 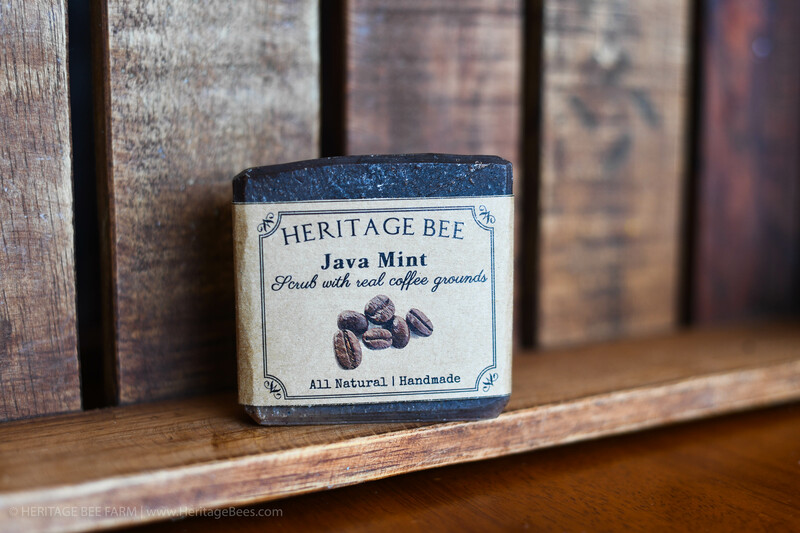 This makes the perfect gift for any coffee lover! 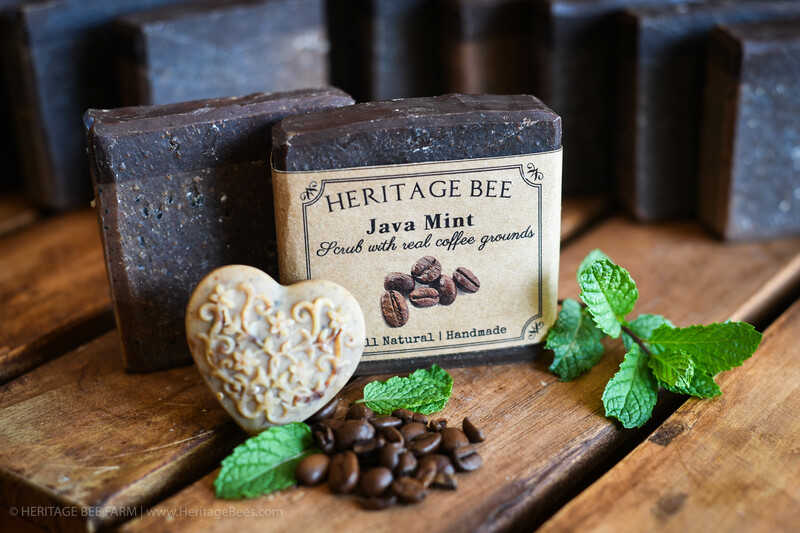 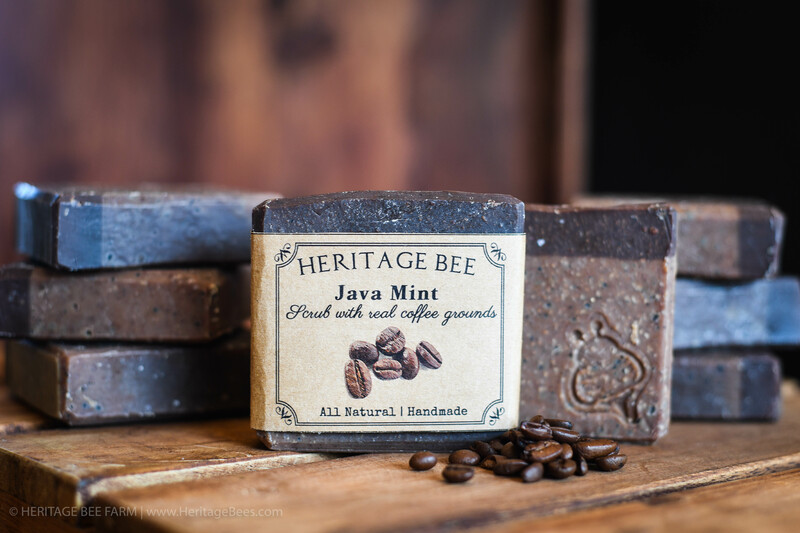 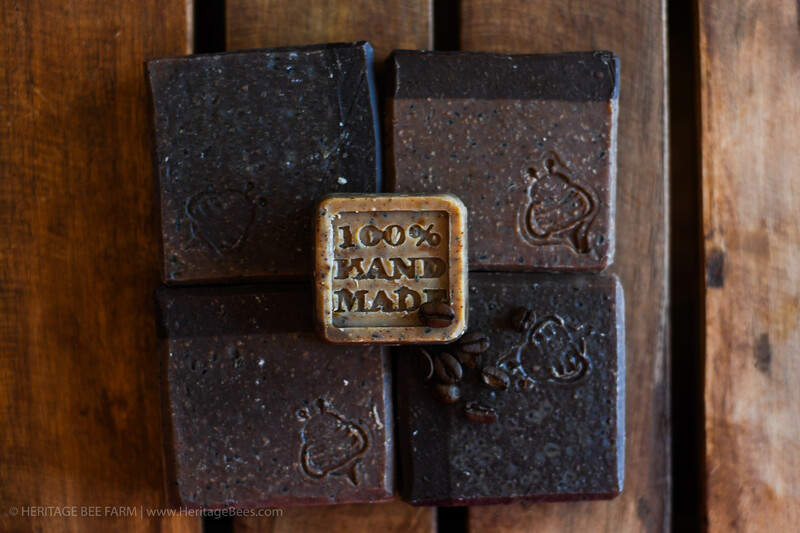 The peppermint essential oil provides a perfect fresh fragrance, while the coffee gives the bar a warm, rich color. 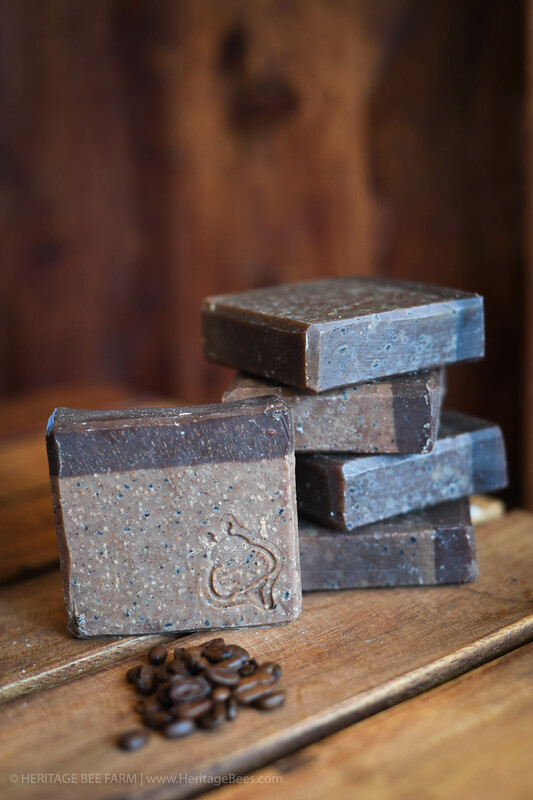 The ground coffee and cinnamon provides exfoliating properties that give a great fresh feeling.